Prepaid Wireless Tracker #119, May 2018 - Sprint & T-Mobile Announce Merger Plans! Following a previously failed attempt at merging, this announcement actually infers that merger talks have made some serious and definitive progress. Interestingly, after Sprint swallowed up Nextel, named Sprint Nextel Corporation, and later dropped the Nextel name, Sprint would now be the loser, with the new name of the company being the New T-Mobile. I'm still unclear as to how they're going to overcome the previously regulatory concerns though, so it will be interesting to see how things progress. That said, Sprint sent out an official announcement on April 30th stating that they expect the deal to close in the first half of 2019. The jury's still out in terms of whether this will benefit prepaid wireless users. At this point I'm thinking the impact would be neutral at best. Regardless, this was certainly the most significant news this past month, and it will be interesting to see how things unfold. This new MVNO is focusing on price sensitive users, including prepaid and Lifeline customers. Users earn discounts on service by performing tasks like watching a video or taking a survey. Unlike other providers that also have similar rewards programs, FreeUp also partnered with national retailers and certain outlets to further sweeten the deal for customers. It's even possible to earn sufficient rewards to cover your full month of service. Quite honestly, I'm surprised these types of programs haven't taken off more than they have. That said, I believe that MVNOs like FreeUp are really just looking to build up sufficient customers to sell out for a big payday, and aren't really seeking to build anything of long term value. So while I think it will be an interesting case study, I don't expect they will have any compelling longevity. If you recall, AT&T finally got rid of its ridiculous GoPhone prepaid brand last year. Well, now its making some tweaks to make it more competitive. First, there's a new $50 8GB option, which is really the sweet spot for most of these plans. 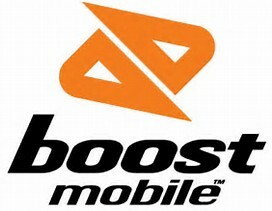 They also have $65 and $85 unlimited plans. For the former you can get slowed down when the network is congested, while on the latter plan you're guaranteed high speed at all times, and it also includes 10GB of mobile hotspot. You can also get $10 off monthly if you sign up for autopay, which drops to only $5 off on the lowest $35 1GB plan. All-in-all, it's good to see them making improvements! So after Sprint's Boost Mobile launched an offer for the first month free for switchers, T-Mobile's MetroPCS launched a 2 months free offer. You know you're scraping the bottom of the barrel when companies compete at this level. Quite honestly, I don't understand why even 2 months of free service would be that compelling for prospective customers. Even with prepaid, you're usually in it for the longer haul, so $50 or $100 off isn't anything interesting unless you're a perpetual switcher I suppose. Customers really need to look at the details of the plan and coverage, and look at the longer term value or benefits. If carriers really want to attract swarms of new customers, offering massive discounts on new phones (at all tiers) would really drive some foot traffic. As phone subsidies have disappeared on prepaid and postpaid, getting a great deal on a new phone really is the most compelling offer a carrier can make at this point. Anyway, if you've been on the fence about either of these two carriers, now would be a good time to act!